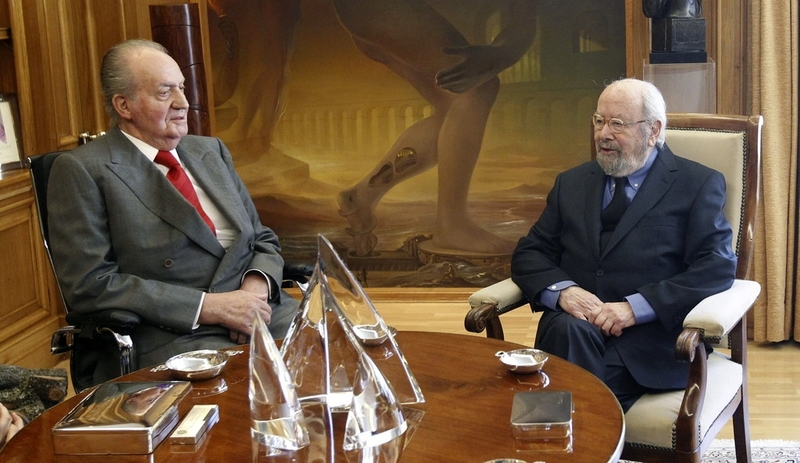 King Juan Carlos of Spain talks to Jose Manuel Caballero Bonald, awarded the Cervantes Prize 2012, during an audience granted by the Queen on April 22, 2013 in Madrid, Spain. With this hearing the King has resumed public official activities in the Zarzuela Palace, month and a half after undergoing double hernia surgery. - high-definition photo for free download.